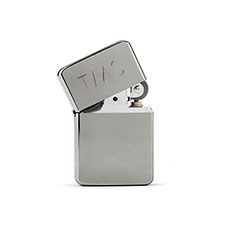 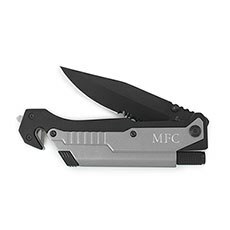 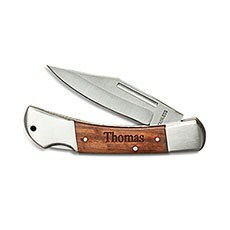 Specially designed for the outdoorsy guy, The Knot Shop's engraved pocket knives and custom lighters are pretty much guaranteed to delight your favorite survivalist. 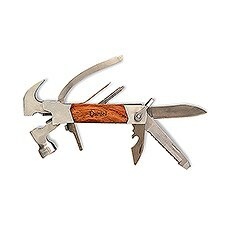 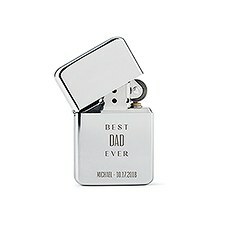 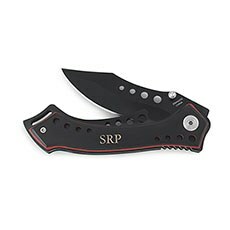 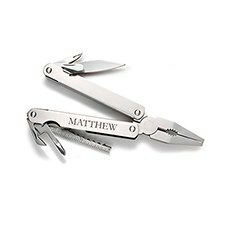 We've got all the best personalized gifts for hunters, campers, anglers and outdoor enthusiasts, ranging from one-of-a-kind custom multi-tools to sleek, monogrammed lighters. 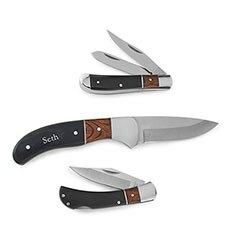 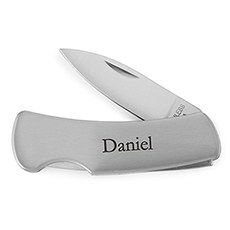 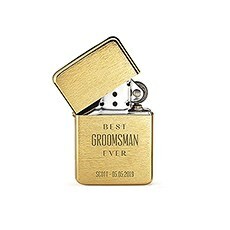 These unique, personalized mementos make excellent custom groomsmen gifts for the crew that would rather be chopping wood and drinking beer around a bonfire.Our selection includes rustic wood inlay knives that can be custom-engraved with his name or nickname plus sleek all-metal personalized pocket knives for the urban cowboy. 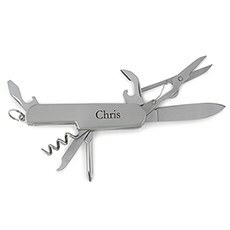 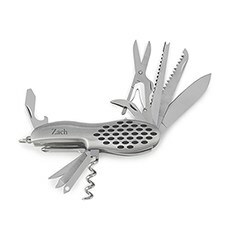 For on-the-go practicality, gift him a personalized multi-tool featuring pocket-sized saw blades, needle-nose pliers, screwdrivers, bottle openers and other essentials. Our stylish monogrammed flip lighters are appropriate for all kinds of guys, from sportsmen to cigar enthusiasts. 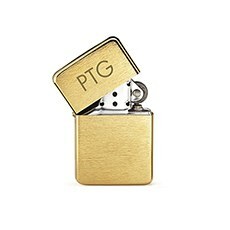 Choose from sleek polished brass, brushed gold or black finishes.